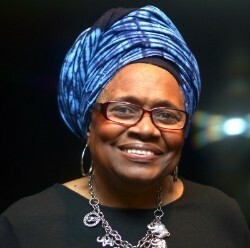 Lux Consulting Group, Inc. » Dr. Mildred Boyd – our inspiration on International Women’s Day (and every day). Dr. Mildred Boyd – our inspiration on International Women’s Day (and every day). Dr. Mildred Boyd, Vice President Lux Consulting Group, Inc.
On International Women’s Day, Lux acknowledges our Vice President and inspiration every day: Dr. Mildred Boyd. Unlike male applicants to her Ph.D. program, Mildred Boyd was required to have a firm offer of a job upon graduation. Nonetheless, she overcame this and many other obstacles to complete her doctorate, before eventually working with the NASA Office of Education and various NASA student programs for over 25 years. Dr. Mildred Boyd was born and raised in Detroit, Michigan. She knew from an early age that biology was her passion. Overcoming obstacles as a young African American woman in science, Dr. Boyd achieved a Bachelor of Science degree in botany, a Master of Arts degree in teaching and microbiology, and a Doctor of Philosophy degree in science and math education. Dr. Boyd then worked for over 20 years managing a wide range of NASA student internship programs. She engaged with Historically Black Colleges and Universities, Hispanic Serving Institutions, Tribal Colleges and Universities, Other Minority Institutions, and many other colleges and universities to help hundreds of young scientists start careers at NASA and other institutions. Dr. Boyd was featured in the 2004 NASA publication, Women Contractors at NASA. We are honored to have Dr. Boyd as a leader at Lux!